SEARCHING FOR THE GLITTERING STARS OF THE ATTRACTION AND RECREATION INDUSTRY! “Shining Star Awards 2019 – Attraction Awards”, the first and only competition of the Turkish attraction-recreation industry will be organized for the 6th time this year. 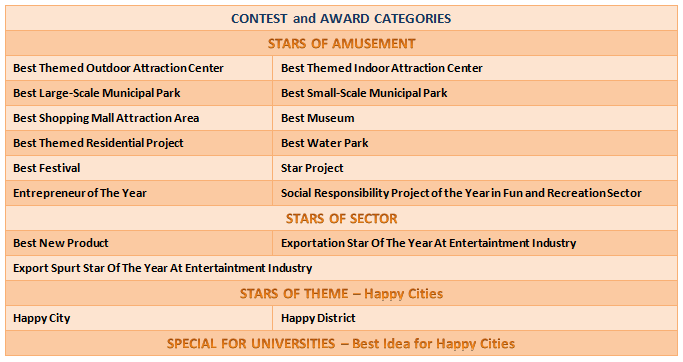 Shining Star Awards is organized with the goal of creating awareness and agenda regarding attraction and recreational areas that have become a major necessity in today’s world, to support the development of the industry to ensure higher quality products and services, and to contribute to sector’s efforts to add greater value in the social, cultural and economic sense. In the competition whereby successful projects are brought to the forefront, applications made in four different categories are reviewed by a jury comprising experts from the sector. The winners will receive their awards at the Award Ceremony to be held as part of ATRAX Exhibition Gala Night. Shining Star Awards, which encourages new projects that bring to the forefront, the contributions of individuals and organizations that serve the industry, and praises successful projects, also serves as a gateway into ethical competition at world standards and respect for the competition. we’d like to invite you to “Shining Star Awards 2019- Attraction Awards”. Shining Star Awards-Attraction Awards Ceremony, will be organized by Tureks Uluslararası Fuarcılık as part of ATRAX Exhibition. The competition accepts applications from attraction facilities, parks, municipal parks, hotels and shopping mall attraction areas, museums and historic sites, zoos, water parks, fun fairs, paintball facilities, movie theatres, go-kart facilities, bowling halls, aquariums, event organization companies, products from sector’s companies and their investors, as well as new projects designed for municipalities, hotels, shopping malls, residential projects or other indoor-outdoor attraction parks, which are completed or currently under construction and feature attraction, activity and sports areas, science-culture parks, special activity and recreational areas etc., and the exhibitors joining ATRAX Exhibitions. The application deadline for this category is 21 December 2018. 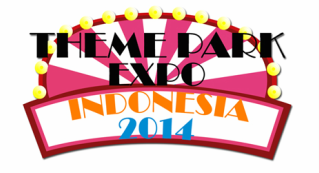 Themed outdoor attraction centers, fun fairs, water parks, zoos, paintball facilities, golf clubs etc. which have been open at least 21 December 2018 can apply for this category. The application deadline for this category is 21 December 2018. Themed indoor amusement centers, children’s attraction areas, movie theatres, bowling facilities, aquariums and other indoor attraction centers which have been open at least 21 December 2018 can apply for this category. The application deadline for this category is 21 December 2018. Municipalities which have children’s attraction areas, sports equipment, science-culture parks, special activity and recreational areas in their parks and gardens which have been open at least 21 December 2018 can apply for this category. The application deadline for this category is 21 December 2018. Shopping malls which have attraction areas like children’s playgrounds, adult attraction units, special activity areas etc. which have been open at least 21 December 2018can apply for this category. The application deadline for this category is 21 December 2018. 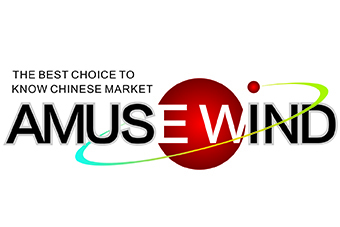 Public or private museums and historic site facilities, which have been open at least 21 December 2018, can apply for this category. The application deadline for this category is 21 December 2018. Amusement parks, aqua parks and hotels that feature water slides, inflatable water game equipment, water attraction-sport equipment which have been open at least 21 December 2018 can apply for this category. The application deadline for this category is 21 December 2018. Residential projects which have been completed or underway or are still in project phase as 21 December 2018, that feature special activity areas, sports centers, recreational areas, attraction centers or units etc. can apply for this category. The application deadline for this category is 21 December 2018. New projects – planned or commissioned- as 21 December 2018 comprising indoor and outdoor amusement, activity and sports areas, science-culture parks, special activity and recreational areas etc. for municipalities, hotels, shopping malls, apartment complexes and other indoor or outdoor amusement areas etc. can apply for this category. Companies can apply for this category for products-ready for use or currently in use – for attraction facilities for the period of 2017-2018, that are technological advanced and in addition to meeting needs, bring a new perspective to the attraction sector. The candidates for this category will be nominated after a jury review based on recommendation, from among individuals or companies that have developed projects (product development, new facility etc.) for the amusement sector during the period of 2017-2018. Online application is not required for this category. Festivals organized by public organizations or private organizations during the period of 2017-2018 can apply for this category. If the product is a new version of a previous product all new features and distinguishing features should be indicated. Every company can apply for a maximum of 3 products. Products should be made of materials that meet hygiene and quality requirements. The representative of the applicant company should be able to answer the questions of the jury when necessary. The product must be designed and produced locally by a local manufacturer. The category accepts applications from city municipalities who, in the period of 2017-2018, developed amusement and event facilities that would add to the happiness of the city residents, acted as exemplary municipalities with the versatile parks they developed, reached a large audience with the events they organized, created environments mingled with nature, and motivated its residents to live an more active life with the sports events and alternatives they offered. The category accepts applications from district municipalities who, in the period of 2017-2018, developed amusement and event facilities that would add to the happiness of the city residents, acted as exemplary municipalities with the versatile parks they developed, reached a large audience with the events they organized, created environments mingled with nature, and motivated its residents to live an more active life with the sports events and alternatives they offered. must meet the criteria for the category applied for. A product, service or an organization that has won an award previously can re-apply only in case of an innovation and development in a product or service. ALL APPLICATIONS WILL BE MADE ONLINE. All applications for Shining Star Awards should be made online on the address of http://www.eglenceodulleri.com. You can download the Application Guide from: http://www.eglenceodulleri.com/basvuru-kilavuzu.php. You can also submit during online application, product or service pictures taken from different angles, as well as an information brochure, a pdf document or video of the product or service. As the jury will evaluate only online applications, it will be to the advantage of the applicant that the product or service video is uploaded to the system. A product or service video with the below mentioned specifications would help you describe your application more effectively. Total video time should be limited to 3-6 minutes. A narrated video ensured a more effective description. Higher video and audio quality that minimizes any ambiguity or misunderstanding would help you communicate your message more effectively. An effective video content would include the architectural design, equipment diversity in the area, events organized during the year, marketing activities, cleanliness and hygiene conditions, transportation means, personnel qualifications, innovation-creativity-sustainability offered, its location and benefits to the sector. Technical specs: For video: minimum video resolution of 1024×720 px, minimum 30 fps frequency and minimum 1000 kbps bitrate. For audio: minimum 128 kbps, 44.100 khz and 2-channel stereo. These specs would ensure higher quality audio and video. After we receive your online application, we’ll send a copy of your application to your e-mail address. All application documents must be submitted in Turkish language. All applications for “Shining Star Awards 2019 –Amusement Awards” will be kept confidential. The applicant’s documents will be reviewed only by the organization team and the jury and only the winners will be announced during the award ceremony. The winners will be announced during Shining Star Awards 2019 – Amusement Awards Ceremony to be held on 15 February 2019 as part of ATRAX Gala Night. In case there’s no candidate eligible for an award in any of the categories, the Jury has the right to cancel that particular category or add a more relevant category. FOR DETAILED INFORMATION; Please contact our organization team for all your inquiries and recommendations.